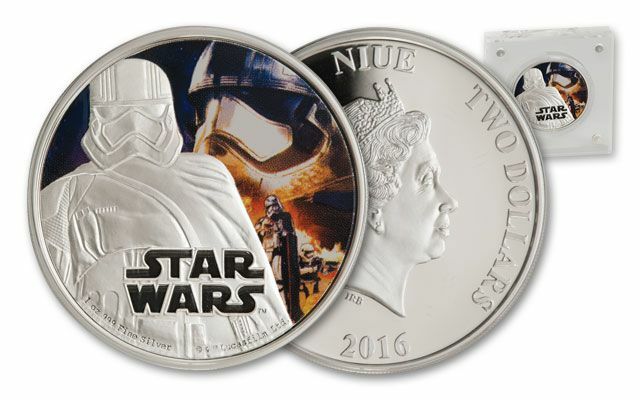 Captain Phasma™ is part of a proof series from the New Zealand Mint featuring modern and classic Star Wars characters, and GovMint.com is an authorized distributor for this series. 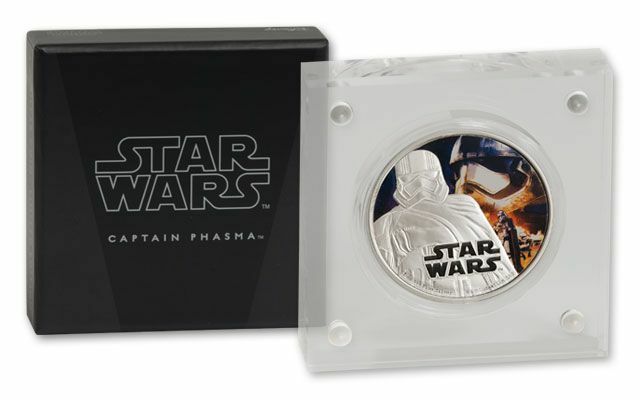 Each legal-tender 2016 $2 Captain Phasma Proof has been officially approved by Lucasfilm Ltd. and is struck in 31.10 grams of 99.9% fine silver. 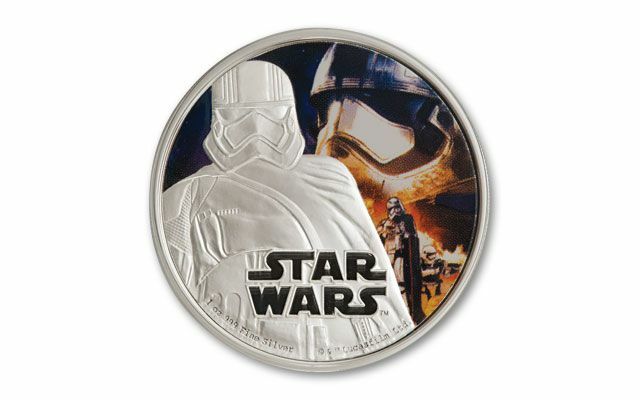 The reverse features Captain Phasma, a new character debuting in Star Wars: The Force Awakens. She's a villainess who commands the First Order's Stormtrooper legion wearing a distinctive metallic suit of armor. Each proof comes in Star Wars-themed mint packaging with a numbered certificate of authenticity. Captain Phasma is destined to be a hit. 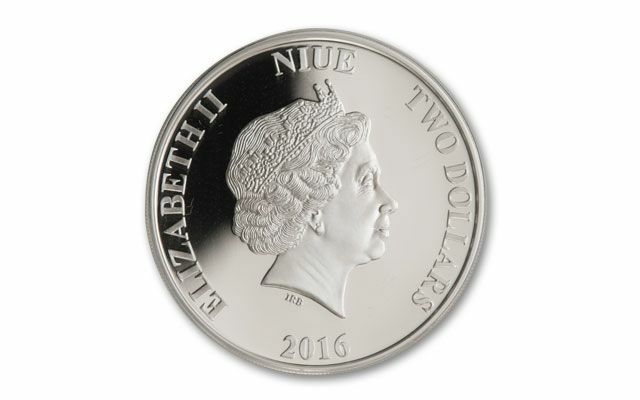 However the mintage is limited to only 10,000. Order immediately to prevent disappointment!